Published: Feb 4, 2019 - Modified: Apr 19, 2019 - by Chef Rodney - Leave a Comment - This post contains Ads & Affiliate Links. 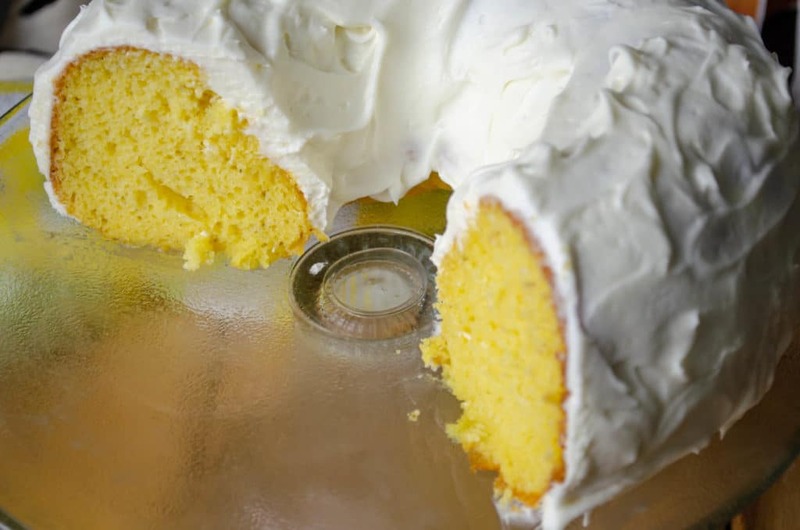 One of the more popular recipes on this food blog is my Shirley Temple Bundt Cake. Not only is it a beautiful looking cake, but it’s also delicious! 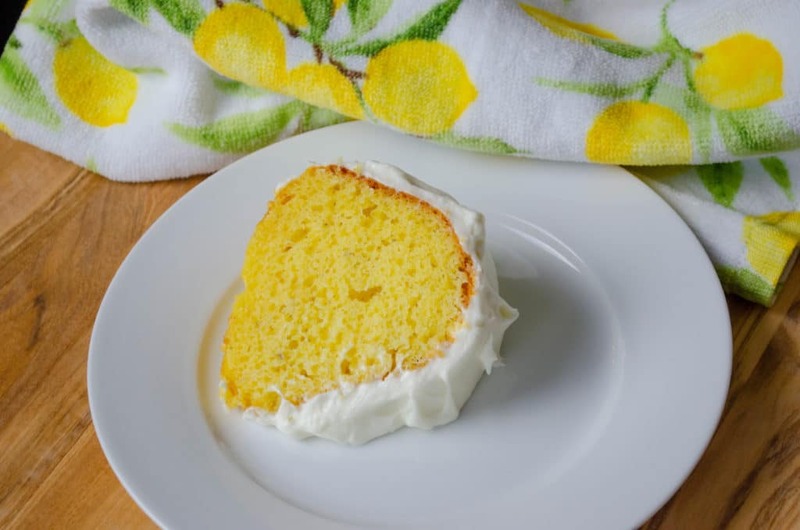 This Lemon Bundt Cake is for the lemon lovers out there. The first time I made it I was a little concerned that the cake would turn out a little too tart, but to my surprise, it turned out great! 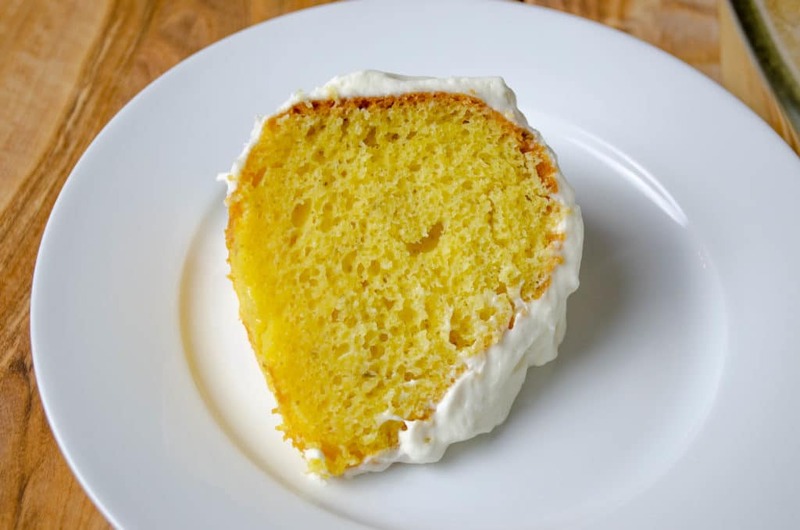 This time around, I decided to make a Cream Cheese Frosting to go with this awesome bundt cake. Just because I decided to use my Cream Cheese Frosting, it sure doesn’t mean you have to. I also have a fabulous Boiled Icing recipe that is just as delicious. 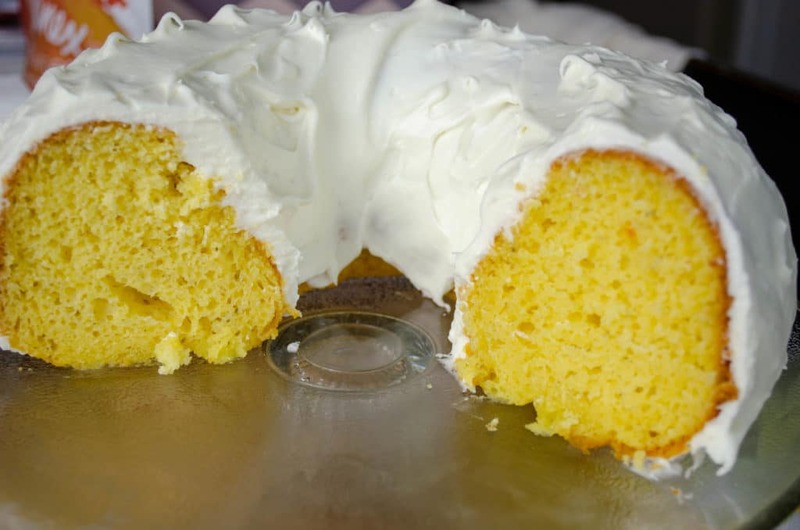 Oh, and if you prefer orange to lemon, check out my Orange Soda Bundt Cake. Preheat oven to 350°F. Grease and flour a 10 inch bundt pan. Set aside. In a large mixing bowl, stir together yellow cake mix and pudding mix. Crumble the dried tarragon into a fine powder and mix with the cake and pudding mixture. Make a well in the center of the dry mixture and pour in lemon-lime soda, lemon juice, eggs and oil. Beat on low speed until blended. Scrape bowl, and beat 4 minutes on medium speed. Pour batter into prepared pan. Bake for 30 to 35 minutes or until a toothpick inserted into the center of the cake comes our clean. Once cake is cool, frost with your favorite icing.